Having brought this idea up with a few people and getting some positive responses I decided to post it sooner then later as there are still quite a few races left this year where racers can discuss options. I think if we want to continue to grow Slalom we need to start planning our World Championships further ahead then we do under the current system. Organizers will have more time as will the sponsors and racers themselves. Most big companies set their budgets up a year ahead of time. This allows us only a few months after the decision from the ISSA Board to finalize things. It is less professional looking and makes it more difficult to pull in some potentially bigger dollar sponsors. Let's consider awarding the event at least 12 months ahead and build on it from year to year. We set-up our site so it could be used for years to come and the event name is already in place. Just change the content for instance. Claude Regnier wrote: we need to start planning our World Championships further ahead then we do under the current system. Organizers will have more time as will the sponsors and racers themselves. Good thoughts Claude. Everone on the BOD would agree with you. I think this was brought up already before we went into elections last year and now in the spring BOD member Petr Janousek reminded us that we need to start working on the Major and Main events of 2012 now mid-2011. It'll be on the agenda for the next BOD meeting. Well I can remind you all that it has been the goal of ISSA to set statuses in good time since a long time. That is why the world ranking rules included the "time advance rule" to try and get the ball rolling. Here is the text from the ranking rules of january 2005. The whole idea with the current World Ranking status/point system is that racers will know the status of the competitions before they plan there travel. We can’t expect that all racers can enter all competitions during the season so it’s important to be able to plan in advance. The higher the status the more important it is for racers to know in advance. Since no such limits have been used before they are not very hard. Here are the minimum limits on how much in advance a competition with a certain status should be set and decided. The idea was to start out like this and increase the pressure with time when organizers became better and better to plan ahead. Unfortunately the organizers have not. But it's a good opportunity for any organizer to be out in good time since it will increase the chance of getting the status for their proposed date. But even though not anything new it's good to bring attention to this now and then. Claude brought it up early on and it will be discussed at our first BOD meeting this spring: How can we make the call for the Major events early enough? How can we achieve sanctioning early enough? How can we help the big organizers get ready in time? Oops, I'm revising my writing here... Apparently I wasn't really awake writing the above. I meant it's up for dicussion at our next meeting this AUTUMN (which is this weekend). However it was brought up by BOD member Petr Janousek already in the SPRING but we had to postpone most of that talk to a later confcall. So, that's where the mixup happened. Sorry for the misunderstanding! You do not need to and should not be waiting till next spring for a discussion on the subject. Look for hosts for next year now. There is no need to wait to meet and discuss this. You can do that by e-mail. There is already someone in North America interested in 2013. Let's get going on this. You must know that some of the major events around the world are planned 5 and years ahead. Anyone that thinks this is not in the best interest of ISSA and the racers may and should step down immediately. Send an e-mail out to the racers. Hopefully enough of them will reply or post something. We need to start getting some real sponsorship $$$ in this community so we can continue to grow and run better races. We have already lost plenty of organizers putting on races. We need to move forward faster then turtles. I don't see that this has to do so much with ISSA really. And I don't see what we have to wait for. It is a problem with organizers themselves not planning ahead. Organizers are free to demand statuses and dates for their events as early as they want. We have a calendar administrator to add events to the calendar with candidate statuses. Then there are "ranking marshals" to look through and give out final statuses. We can just all try and demand of organizers to try and publish their intent to host events as early as possible. It does not have to be 100% sure to do this. Then that could trigger more organizers to also publish their intentions. 1. 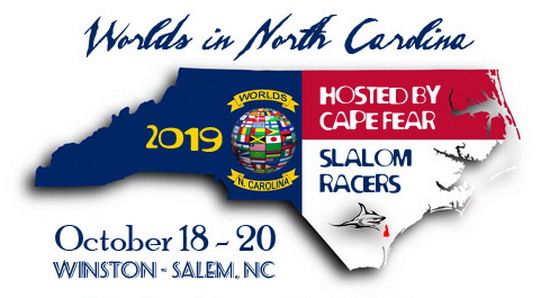 Based on his experience, THERE OFTEN IS MONEY AVAILABLE from a variety of sources to fund or sponsor slalom races--perhaps more money than most people realize. This could provide a HUGE boost for event organizers and for slalom in general. 2. For large events especially, the more advance time the organizer has to find and ask for that money, the better. The third point I hear from Claude is that receiving a particular status (in this case, the Worlds) well in advance of the event is very helpful, if not essential, to successful event planning--and that a few months is simply not enough time. At least a couple of the sponsors that the Ottawa organizers approached were more than willing to throw money at/into the event, but their company or organization had already allocated all their sponsorship/advertising/promotion money for this year during last year's budget planning. So that's why it's essential to have more time--to approach these companies or organizations when they are planning what they will spend in the future, instead of when they've already "spent" it. I also see no big reason why the BOD and the ISSA cannot make a bigger priority out of asking for applications and granting the status for the Worlds further ahead of time. If necessary, we can even write those requirements into the rules for the organization. Claude, I assure you that your concerns are being noted and taken very seriously, and that you can indeed expect some action. But since we are an organization with a defined process for doing so, I ask that you and everyone else be at least a little patient to allow the organizational process to work, and be willing to work with the BOD if we ask for your help. That way, as soon as any progress is made, you will hear about it. Which leads me to my final point. Claude, it's also apparent that you already had a lot of experience with raising money to fund your skate camps and previous events, and that you, MB and Bernie learned even more when planning for the 2011 Worlds. Other people and event organizers may NOT have the same experience or knowledge--so they could benefit from it tremendously. I'm firmly convinced that many problems both in the ISSA and in the world itself are caused more by simple ignorance (i.e. not enough information) than by anything else. So I'd like to ask you to share as much of that knowledge as possible--either in this forum or in a separate report or email to Jani and/or the entire BOD. Are you willing to do that? Please be so kind as to respond, again, either on this forum or privately to the BOD. Thanks. Last edited by Jonathan Harms on Thu Sep 01, 2011 12:47 am, edited 1 time in total. If Claude means that if an organizer are really asking for a status 12 months ahead and then will not get an OK until 4 months ahead then I agree it's not good. And I agree then it's the responsability of ISSA/ranking marshals to handle this better. But there must be some sort of time for others to react. Especially for Worlds that may interest other organizers also. ISSA could decide for example that ranking marshals must give a response to a status request within 1 month. So if you are early requesting a status you force ranking marshals and other organizers to handle this early as well. But this means that you may not have the full picture of the season when giving out statuses. But maybe it's more important that we can start to build up the event calendar as early as possible for the good reasons that Claude mentioned. Major: Minimum 6 months ahead. Max 24 month ahead. Main : Minimum 4 months ahead. Max 18 month ahead. Prime: Minimum 2 months ahead. Max 18 month ahead. Basic: Minimum 1 month ahead. Max 12 month ahead. Plain: (no time advance needed) Max 12 month ahead.